Eye injury encompasses a wide variety of pathology. Every structure of the eye required for a healthy functioning – eyelids, cornea, anterior chamber, pupil, iris, lens, posterior chamber, retina, optic nerve, tear ducts, muscles and orbit – can be injured. Each of these structures may be injured individually or in combination, even in multiple combinations. The extent of the injury may be hidden by swelling of the eyelids, disruption of the clarity of the cornea, or by blood in the front or back interior of the eye. Retinal detachments, foreign objects, lens displacement and more damage may lie obscured within. No two eyes injuries are identical. As the cornea is one of the most vulnerable exterior tissues, it is frequently injured. Damage may be minor, such as a superficial scratch or foreign body that may quickly heal without any lasting consequence, or it may be severe and require replacement by corneal transplant. Damage to the iris can cause cosmetic disfigurement and impairment to normal visual functions. Damage to trabecular meshwork can lead to increased pressure in the eye. More extensive damage to the eye may cause a softening of the eye due to deceased intraocular pressure. The naturally clear lens can be dislocated, extruded or may turn opaque from the injury. For some victims of injury, the lens can be replaced by an artificial intraocular lens implant, similar to the lens that is used in cataract surgery. A number of sophisticated techniques may be employed to reconstruct the posterior cavity, seal tears, repair retinal detachments, remove foreign objects and prevent proliferative scar tissue. Ocular trauma is perhaps one of the most challenging areas of surgical expertise. We understand that in devastating injuries even a small amount of recoverable vision can mean a great deal, and for some people, even when vision is not possible, maintaining a normal cosmetic appearance can also be important. All injuries, even those that appear minor at first, can potentially have a “hidden” side or may develop problems later. 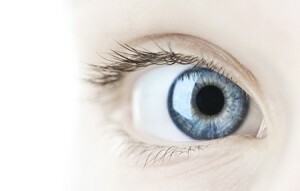 It is important for you to see an eye specialist for all eye injuries. For serious injuries, we promise to be there for you with our best abilities and support your decisions through out the process. Flush the eye with water for at least 20 minutes for chemical accidents. Do not bandage. Any serious injury, especially open wounds, burns, explosions or chemical injury or sudden unexplained serious loss of vision requires immediate emergency care.